We believe every child is entitled to the best teaching and learning opportunities. Our teaching staff focus on enabling every child to reach their full potential, whatever the starting point. We encourage the growth of personal confidence, the ability to communicate and co-operate with others and to develop strong moral values. We use a wide range of teaching strategies and learning opportunities, including learning outside the classroom and use of technology, alongside traditional methods. 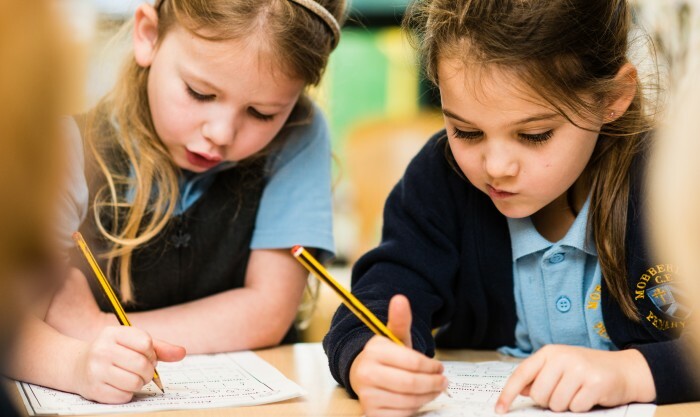 In line with the requirements of the new Primary National Curriculum we offer a truly broad and balanced curriculum. The core areas, English and Mathematics, are taught discretely every morning. In English there is a focus on reading, writing, spelling, speaking, listening, punctuation and grammar. We teach synthetic phonics, word patterns and spelling, and we set high standards for handwriting. We also study RE, computing, history, geography, science, languages, design & technology, art & design, music and PE, often using a thematic approach, educational field trips and a wide range of enrichment activities. The school uses the ‘Cornerstones’ published materials as a basis to deliver the foundation subjects across the school, including EYFS. Sample materials can be viewed online on the following website www.cornerstoneseducation.co.uk. However, the curriculum at Mobberley is heavily enriched through educational visits into the local area and themed visitors/experiences within school. In addition, each year we have a number of whole school enrichment days where young and old undertake themed topic work together within their school houses to achieve high quality, shared outcomes. At Mobberley, we are committed to educating pupils to thrive in the modern world. We hold themed weeks on internet safety, global citizenship and we have established our own set of ‘life skill challenges’ which pupils are encouraged to undertake.